Yoga has exploded onto the mainstream scene. How has that affected Yoga Journal’s voice? When I came on board two years ago, my focus was to bring it into the modern world as exponential growth meant the voice of yoga had changed. The aim was to make it more accessible and friendly. 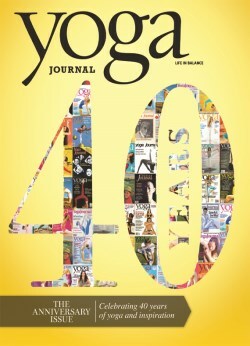 Yoga Journal is a 40-year heritage brand and is respected internationally as the authority on yoga. That can be a little intimidating. With so many beginners, we want them to feel welcome within our magazine and events. We’re not assuming everyone knows Sanskrit [the language of yoga] and has gone through teacher training. Our digital voice is huge, with revenue up 11% year on year. Facebook is our most frequented platform with 1.7 million followers. We have seen 250% growth since August 2013, and we gain 10,000 new followers a week. It’s a sharing community and very vocal. Talk about major elements of your anniversary celebration. We did a 40th anniversary special issue this September dedicated to the occasion. We created our Good Karma awards, which is an opportunity to recognize 40 yogis influential in bringing yoga to America and making it what it is today. We also made a timeline looking at yoga throughout the last 40 years and how Yoga Journal has changed. We looked at our first cover from 1975, which was black and white, with 20 pages and cost 75 cents. Fast forward to now and our September issue has more than 120 glossy pages. What was the impetus for the magazine’s redesign last October? We tried to modernize the look and feel of Yoga Journal. Now, it is a lot easier to navigate. In the past, the teacher cover model was never featured in-side the magazine. Now we will do a feature on the teacher inside the book. We are trying to tie our magazine content into our other platforms. So if we do something in print, how can we bring that to life at live events? 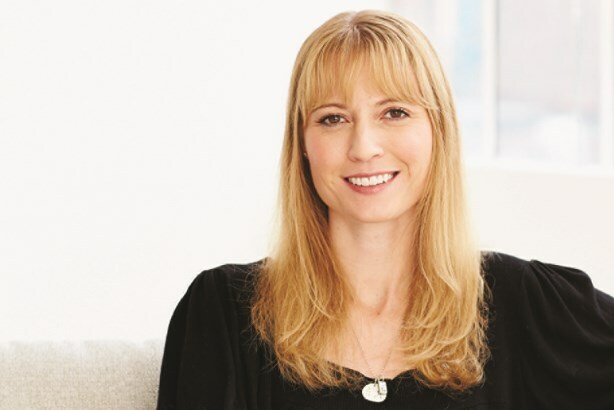 The brand launched an online course this year called The Business of Yoga, which takes teachers from beginning to end of how to launch a successful business. It covers as-pects such as how to build a website, leverage social media, and balance your books. These are business skills you would not necessarily know as a yoga teacher. As we have a huge readership of teachers, we are looking to support the growth of their businesses. Who is your reader and what specific demographic are you looking to further engage? Our magazine readership is mostly female, although a little over a quarter of subscribers are male. The average age for print readers is 45, online is 41, and social is 38. Our readers are educated, mostly affluent, and aside from yoga, they are also very healthy, wellness-oriented people. We definitely want more content offerings for beginners in the magazine and at our events. At our next event, we are having our first beginners track. If we can also get more males into the tent we’ll be happy. Seeing more men in the magazine helps welcome them. We try to get a guy in every issue, whether he’s modeling positions, teaching, or one of the featured teachers. Where are you innovating next digitally? Our strategy involves creating a lot more new online content, rather than just pulling articles from the magazine. We also launched our iPhone edition, which is increasing traffic, but there is still work to be done. Our tablet edition is doing well, when compared to other titles. We’re going to spend time working on how we can upgrade it and make the edition more valuable. Are print subscriber numbers up year on year? They’re holding steady at 375,000. Our newsstand sales have been pretty strong, too. There has been significant uptake on some issues, but not every issue. In a market where newsstands aren’t doing great we’re happy – flat is the new up, right? What country is readership the largest in? We are largest in the US, followed by Australia. New York City hosts our biggest event, which welcomed 2,500 in April 2014. We have been doing five international events at the same locations each year, so we are looking at other cities to go to, smaller ones where they don’t have access to as much yoga.